I must say that there is no better way to get noticed than to have a celebrity be posted on Instagram wearing one of your designs. Lately it has been a pleasure working with several gracious fashion stylists & enjoying sightings the last month of our designs on celebrities like Emma Stone, Kacey Musgraves & Jessica Simpson. Nicole Chavez is one fun fashion conscience stylist. 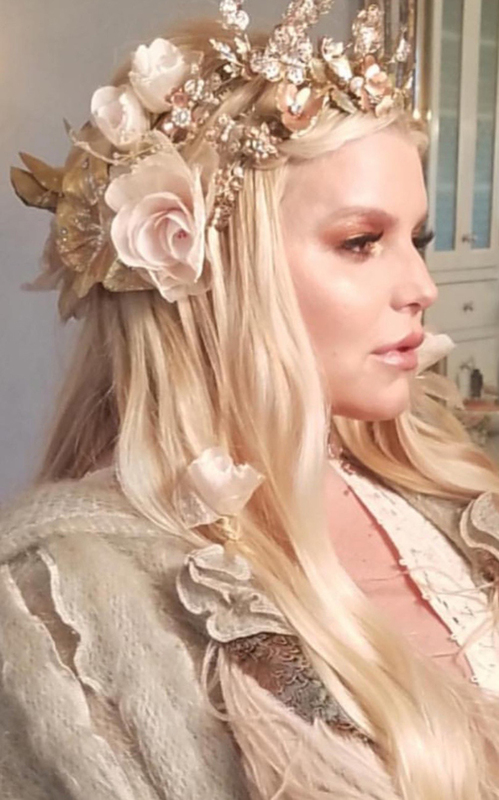 She recently came to me in need of some out-of-this world goddess headpieces for Jessica Simpson, who is with child, to wear to her baby shower. 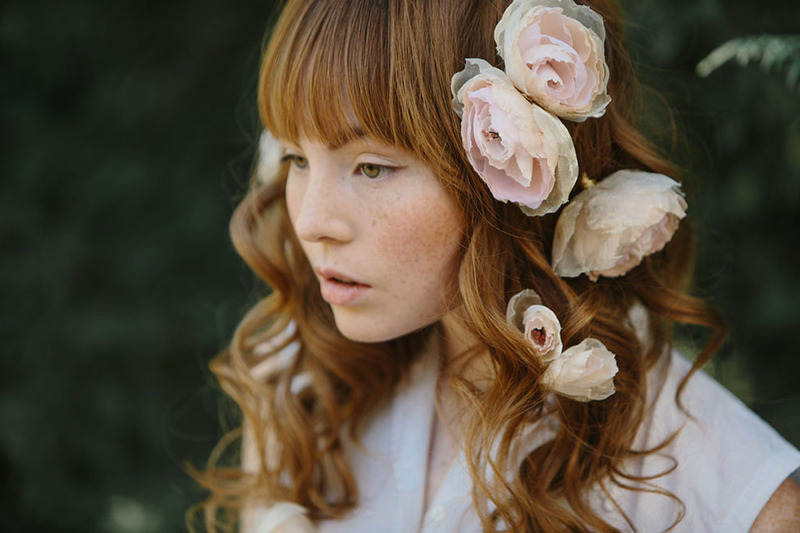 They were not afraid to stack crowns & adorn Jessica’s lovely flaxen locks with many silk flowers & butterfly hairpins. The look was really quite stunning. 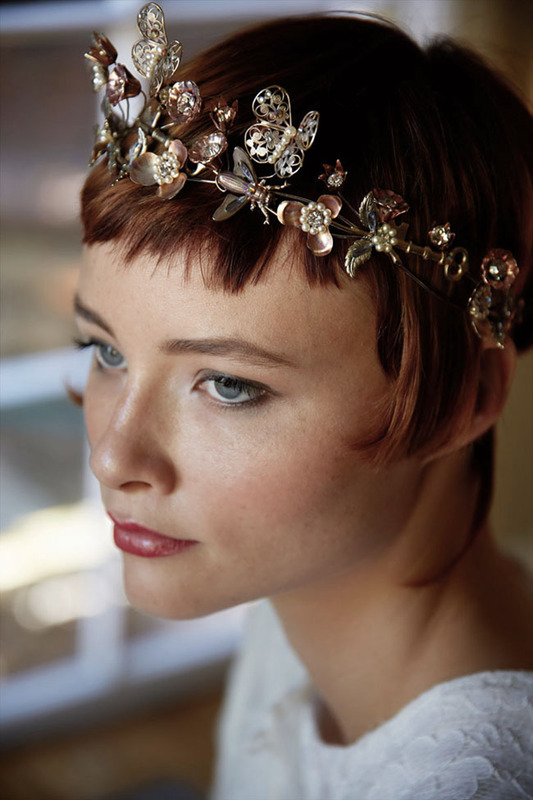 All the bejeweled headpieces in the Erica Elizabeth Designs collection can be worn alone or stacked for an unforgettable showering of beauty! I love this look & could not have hoped for a better group of talented women to put this together for Jessica with my hair accessories. Jessica was a true goddess! All the best Jessica Simpson. We wish you all the best! 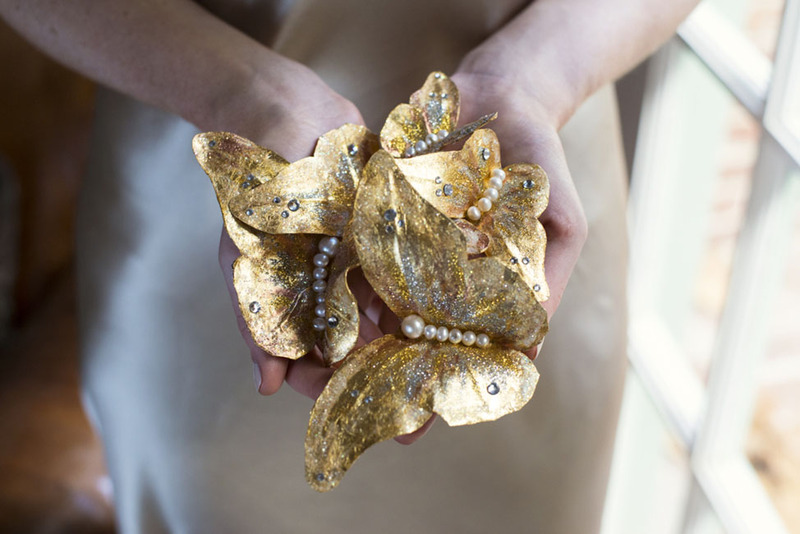 Nicole stacked La Belle Époque The Garden Nymph & the crowns together and scattered both the Butterfly Day Out Gold leaf & Enchanted Garden silk flower hair pins in a pleasing manner thought her flowing hair. Many thanks & have a pensive Martin Luther King Day!